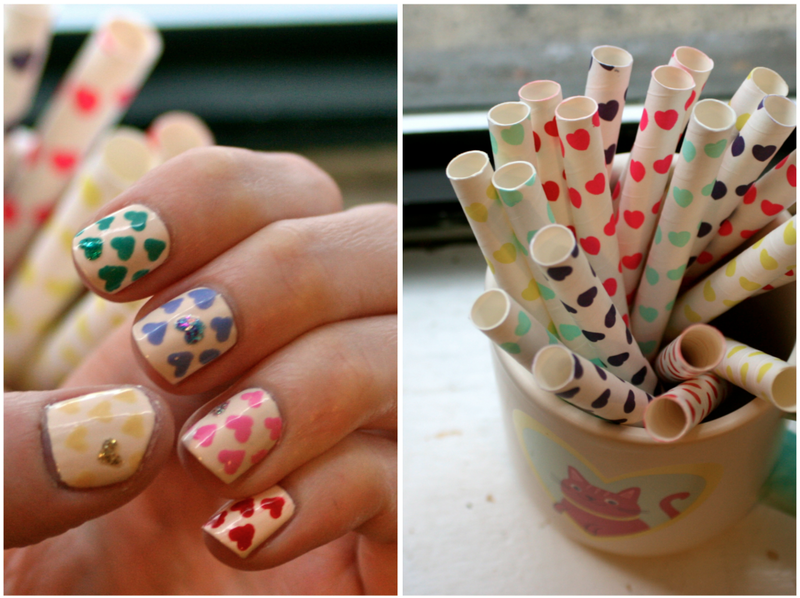 For my Valentine's mani this year, I wanted something fun and girly- a bit of a stickers/stationery vibe. I immediately drew inspiration from these paper straws I picked up at Target, shown in last week's Seven. You just need different coloured polishes and a dotting tool (or a handy-dandy bobby pin) to get a look that appears much more complicated than it is. I am loving this mani (I have even gotten compliments by random train people!) 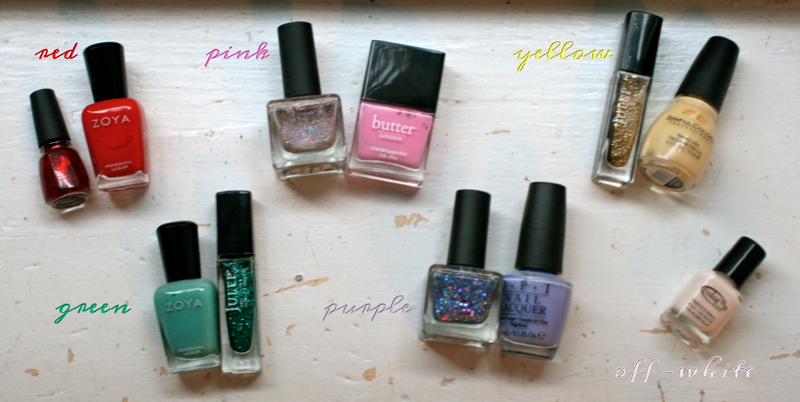 Plus, it's always nice to be able to use so many nail polishes in bright, fun colours. The how-to is pretty simple. I started off with two coats of my off-white base. Next, I ordered up my colours and started drawing little hearts. 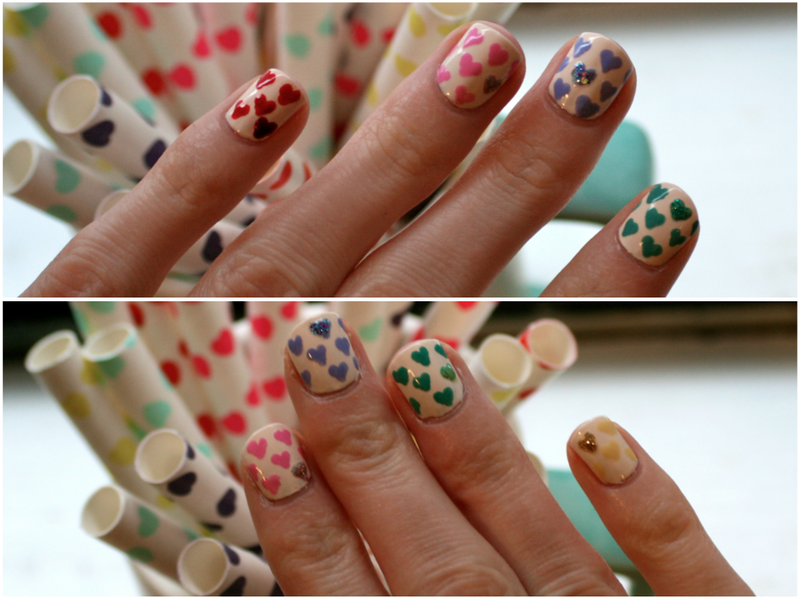 Hearts are easy with a dotting tool. Just make two dots close to each other and connect them to a point. I did about three rows of hearts on each nail, just so that it would look like a complete pattern. Make sure to clean your dotting tool in acetone before going to the next colour. I also use a piece of cardboard to drop each polish colour, so I don't have to dip my dotting tool into the bottle. After all the little hearts are finished and dried, I filled in one heart on each nail with a corresponding glitter polish, differing the placement. Finally, I finished up with a top coat and cleaned up around the edges of my nail with acetone and a small brush.